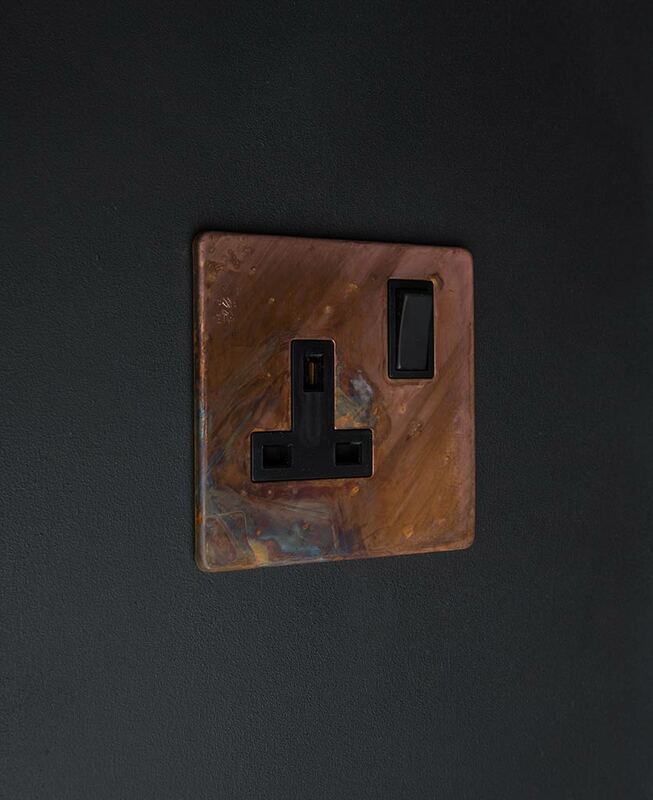 What’s not to love about our tarnished copper single socket. It’s got everything going for it: stunning good looks and excellent quality. 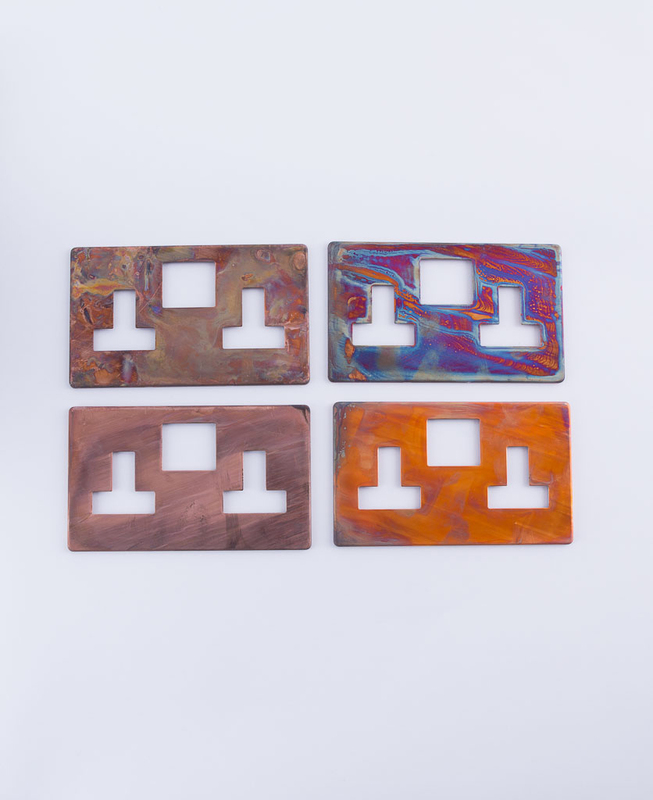 We’ve done our best to capture the beauty of these sockets in the photos, however, the finish of each one is unique and may differ from that shown. Having said that, they do all age with use to look less ‘new’ and more ‘industrial’. 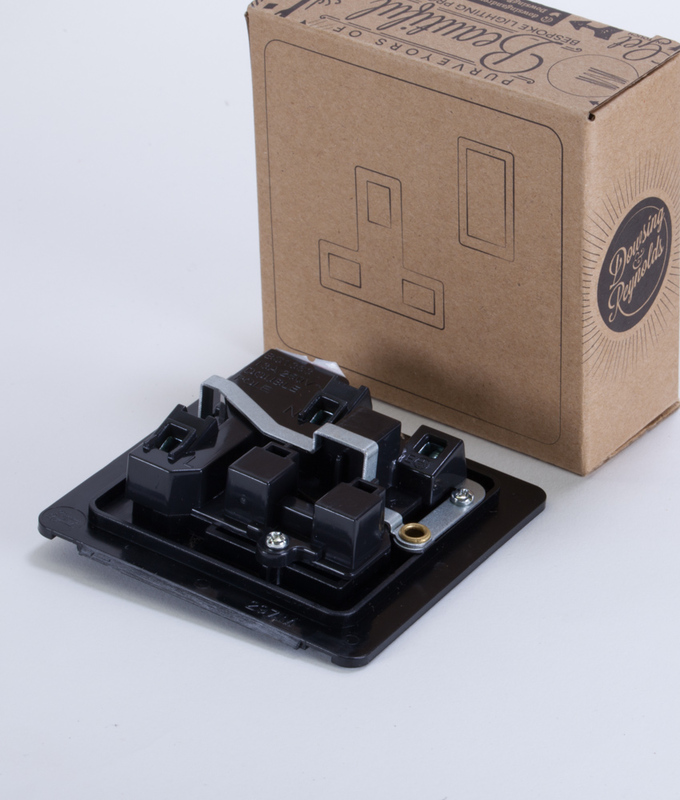 Our copper single socket is a truly lovely plug socket. An often overlooked part of any interior, plug sockets can literally ‘break’ a room. Make sure your electrical points, are on point. so to speak. Each piece is individually distressed so has unique colours patterns floating across it. Think of oil skating across a puddle and you get the idea. No mass-produced uniformity here. We love the fact that no two are the same – these are electrical sockets that will get noticed. You’ll be moving your furniture to show them off rather than to conceal them. Our tarnished copper finish is beautiful. It’s unusual to say the least and not something you’re likely to come across anywhere else you go. You certainly can’t buy it from anyone else! Tarnished copper is designed to be a distressed finish so it’s perfect for adding an industrial ‘unfinished’ edge to any room. It’s a solid metal plate, so looks the part. Perfect if you prefer the subtle and random differences in hand-crafted items, rather than a uniform mass-produced feel. 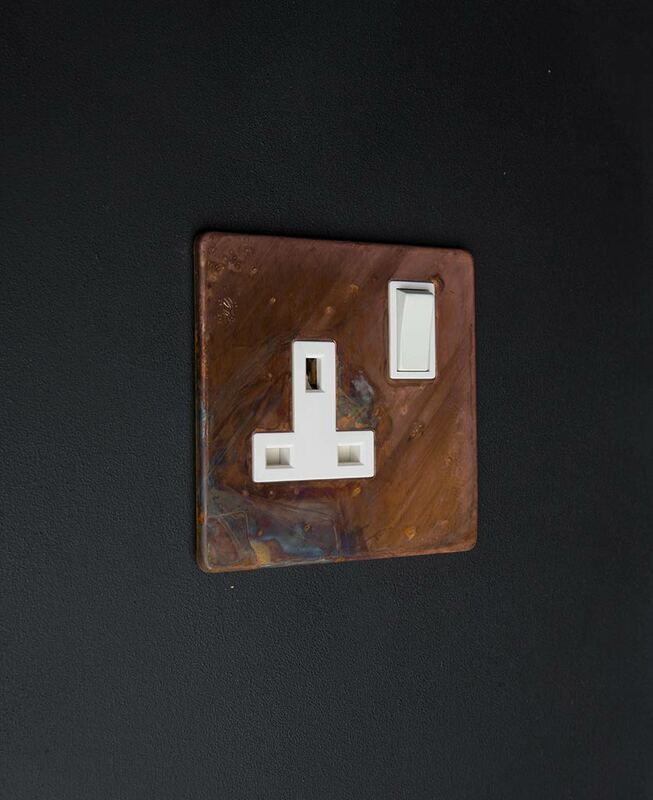 This distressed copper plug socket is part of our range of designer switches and sockets. But the collection doesn’t end there, we have tarnished copper cage light shades, ceiling roses and more to tempt you into upgrading your lighting, as well as your switches and sockets.